'The Armenian side must take steps to continue the talks. Unfortunately, the current regime in Armenia repeats the mistakes of Sargsyan-Kocharyan regime and makes statements violating the talks. Armenia needs to take constructive and right steps. Currently, efforts of the international community is not good enough for the settlement of the Nagorno-Karabakh conflict . The international community must also be resistant on this issue sending political and diplomatic messages to Armenia. Since the international community does not send such messages, Armenia continues its occupant policy. 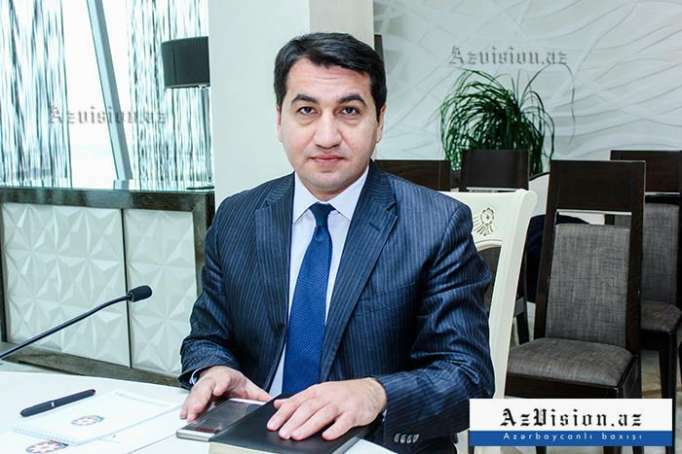 In this regard, the occupant side must be called by its name,' Hajiyev added.